Hello everyone, I just completed a video review of my personal EF740FS TT - been playing this guitar for around 8 months now and it's been a blast. 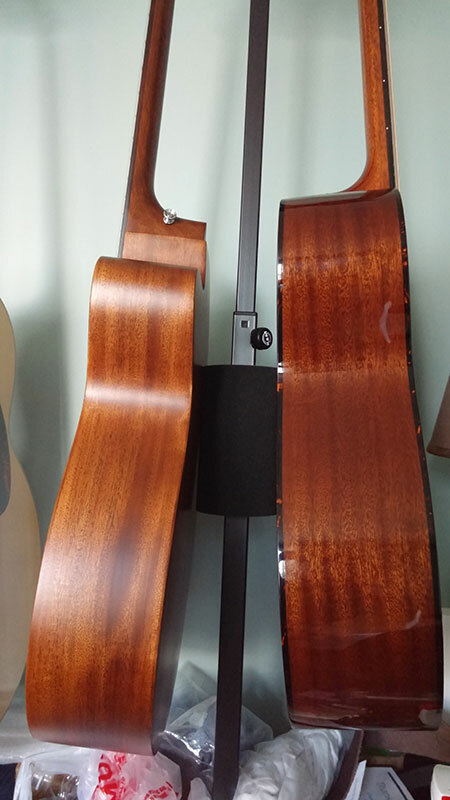 The thermal spruce top and line driver preamp are great upgrades from the original TF740FS. http://www.youtube.com/glbpro - Guitar and Preamp review videos! Nice review, Bruno! You always do such a thorough presentation. You're welcome, thanks for watching! I had my eye on the EF740FS-TT for a long time, but wasn't sure about buying one until Bruno put together this excellent and detailed review. Frankly, ESP/Takamine's own marketing efforts for this guitar tell you very little, and Dan Cohen's demo video is a poor illustration of this guitar's strengths (Slide guitar? Really?). Thank you Bruno! 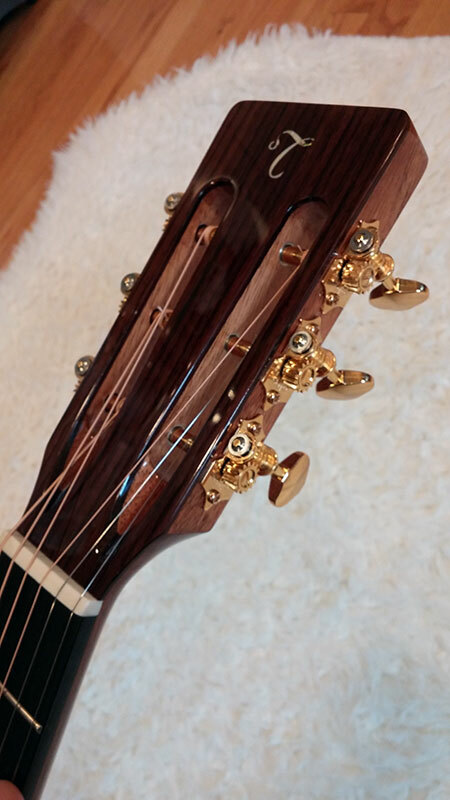 I am thoroughly amazed by the headroom this design gives you as it's easily the most dynamic range I've ever experienced in an acoustic guitar, noting that it sounds good throughout that range, from the subtlest taps to full-on string bashing. 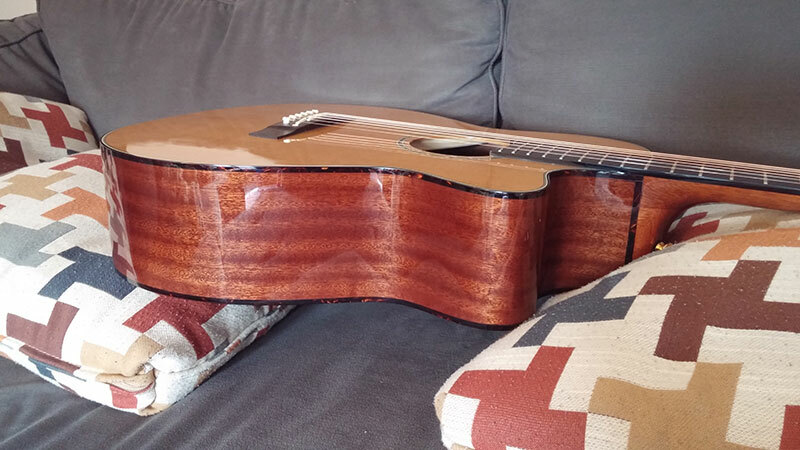 I'm not sure how much I believe in the whole concept of "breaking in" or "opening up" a guitar over long periods of time that seems to be behind the idea of the thermally treated top. 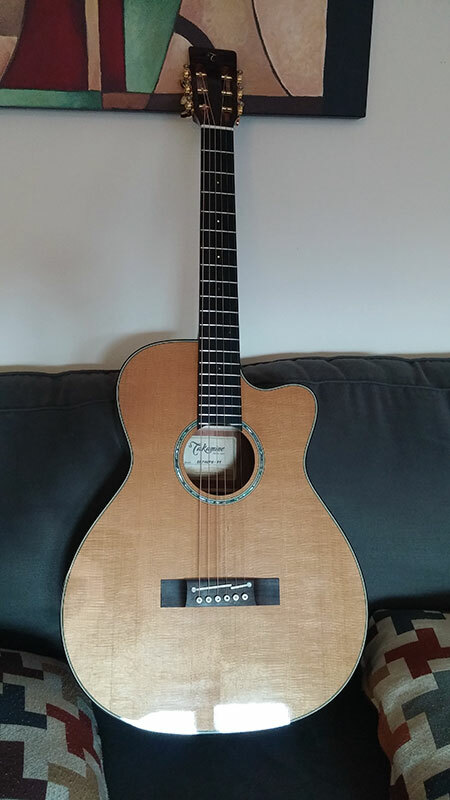 However, I do notice that most acoustic guitars do seem to breath a little better over the course of a playing session or performance, so following Bruno's comment about its readiness to be played, I can confirm this this guitar needs little or no warm up. Perhaps that's the benefit of the TT. Certainly looks nice in any case. I'm not a fan of "Barn Door" electronics, so the more discrete preamp design helps in that sense. I do wish, however, that it's EQ were a little easier to adjust. While the signal is loud, crisp, and clear, I did have to adjust the switches in the pre-amp portion itself to shift away some treble and add some bass. This required removing the preamp from the end in. I'm also not a fan of small tuning buttons, so I ended up replacing the stock tuners with Gotoh SEP700 Slot-head Gold Butterbean machines. These were a perfect drop-in fit (though I did have to keep the screws from the factory-installed tuners as the screws that came with the SEP700's were too long). The main advantage is that the buttons are larger, which I find increases tuning precision even at the same 15:1 ratio (which is what the factory-installed tuning machines and SEP700's both use). I also like the all-gold look on this particular guitar. Yep, it's thick as a Dread. 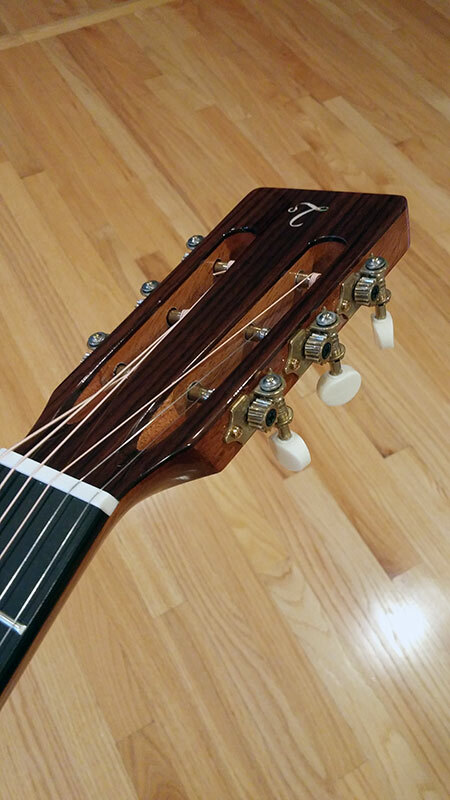 Great review - those new tuners look excellent, definitely something I'll consider in the future! Thanks Bruno! Very well done review. The top is now spruce. That's an interesting change. That model was an interesting test of what you could get out of a small body, cutaway, 12 fret guitar. I was another of those models that was greater than the sum of it's parts. Just really worked well. The deeper body played a huge role in the tone and the large neck also enhanced the sustain. took the dive and bought one. awesome guitar! the sustain goes on forever. (wife is pissed though... 'what do you need another one for').